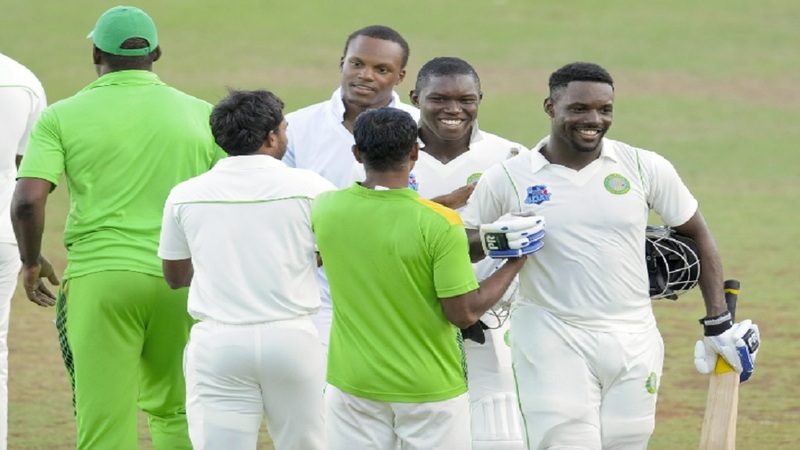 Jamaica Scorpions are heading to their third straight defeat heading into Sunday’s fourth and final day of their fourth round fixture of the 2018-2019 West Indies Championship against Trinidad and Tobago Red Force at Sabina Park. Khary Pierre and Daniel St. Clair topped another destructive spell from fellow left-arm bowler Nikita Miller with a series of crucial strikes in the final hour to put Trinidad & Tobago Red Force within sight of their first victory of the season. Left-arm spinner Pierre claimed 2-16 from nine overs to follow up a valuable 46 with the bat and left-arm medium-fast bowler St. Clair grabbed 2-12 from six overs, as the Scorpions, chasing 325 for victory, endured another inexplicable batting slump. They closed the day struggling on 108-5, needing another 217 runs with only five wickets remaining. This followed left-arm spinner Miller taking 7-87 from 32.4 overs for the Scorpions, as several Red Force batsmen, led by Pierre, got starts without carrying on and were bowled out for 233 in their second innings after starting the day on 62-2. Scorpions started the chase soundly, as Oraine Williams dominated an opening stand of 89 with Chadwick Walton before he was caught behind off Pierre for 56 that included nine fours and two sixes from 67 balls in 79 minutes of batting. Three balls later, Pierre had Walton stumped for 26 before leg-spinner Imran Khan removed Andre McCarthy for one to leave Scorpions 90 for three. 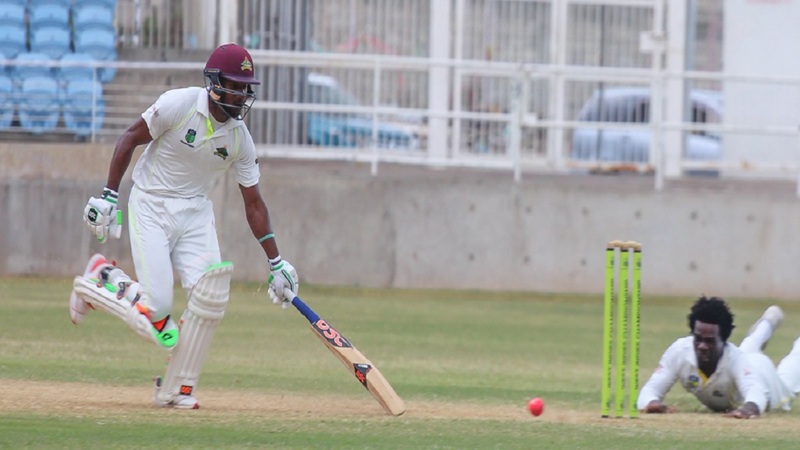 The home team was set back further, when St. Clair trapped Scorpions captain Paul Palmer lbw for eight in his fourth over and bowled Barbadian all-rounder Kenroy Williams for a four-ball duck in his next over inside the final 45 minutes. Earlier, Pierre shared three small, but frustrating stands with the international trio of Darren Bravo, Jason Mohammed and Denesh Ramdin to extend the Red Force’s innings and set up a challenging target. Scores in the match heading into the final day are: Trinidad and Tobago Red Force 203 & 233; Jamaica Scorpions 112 &108-5. 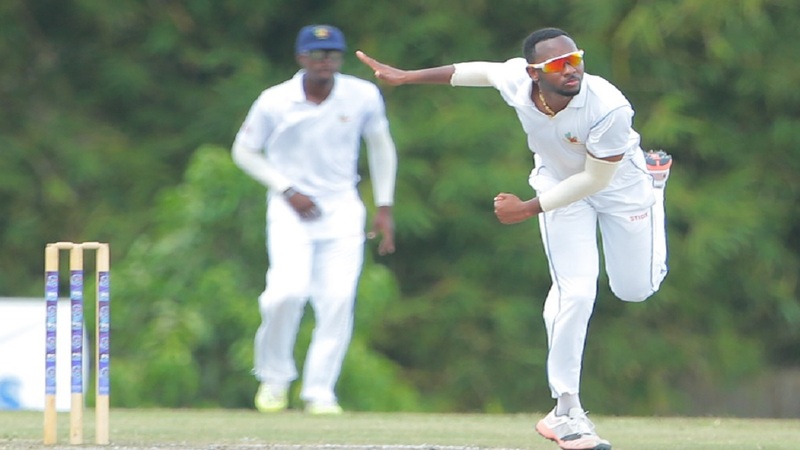 The Jaguars defied face-saving half-centuries from Alick Athanaze and Devon Smith and looked set to complete their fourth straight victory of the season, after forcing the Windward Islands Volcanoes to follow on at the Guyana National Stadium. Following on, after they were bowled out for 209 after starting the day on 99-5 replying to Jaguars’ first innings total of 454-9 declared, Smith, last season’s leading run scorer, led the way with 65 to anchor the Volcanoes batting. However, they ended the day still trailing by 78 with the score on 167-3. Smith helped the visitors have a steady start the second time around with Tarryck Gabriel, who was caught behind off Sherfane Rutherford for 16, becoming the first of three victims for wicketkeeper Anthony Bramble before the close. Smith counted eight fours from 128 balls in close to 2 ¾ hours at the crease, sharing 75 for the second wicket with Roland Cato before they were both dismissed – caught behind off Romario Shepherd and first innings wrecker Keemo Paul respectively – in the final session of the day. 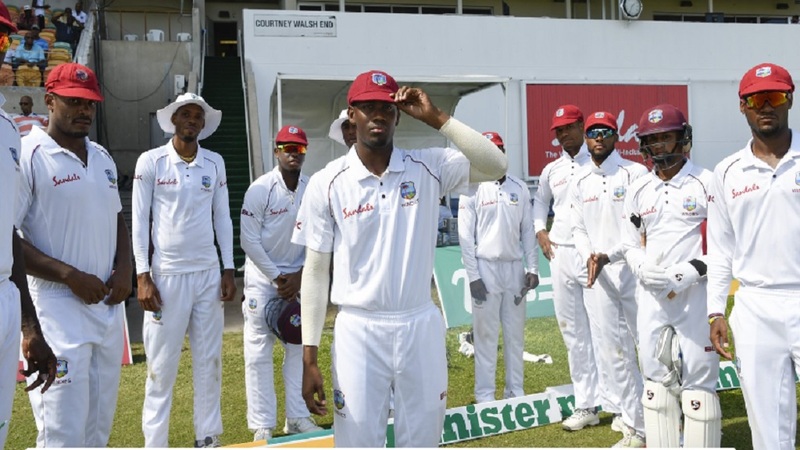 The Volcanoes hopes of a survival rest with their captain Kirk Edwards, the discarded WINDIES batsman, not out on 40, and former WINDIES Under-19 batsman Kavem Hodge, not out on three. Earlier, Athanaze hit the top score of 66 for the Volcanoes, but they were bowled in their first innings just after lunch. Paul ended with 6-57 from 17 overs – the third time he has claimed five or more scalps in a first-class match. Athanaze collected 11 fours and one six from 114 balls in nearly three hours at the crease and resisted the Jags attack to add 90 for the sixth wicket with Denis Smith. Once Smith fell to Shepherd for 37, there was little resistance from the rest of the batting. Scores in the match entering the day are: Guyana Jaguars 454-9 declared; Windward Islands Volcanoes 209 & 167-3.